On August 19, 1893, a group of Masons, most of whom were members of Mannsville Lodge No. 55, met in Oakland, Indian Territory, in a building designed as a Masonic Lodge. They appointed their officers, and proceeded to organize a new lodge in the territory. The Worshipful Master opened the Lodge, and after some remarks about the purpose of their meeting, declared Oakland Lodge U.D. duly constituted under dispensation from MW Andrew Hardy, Grand Master of Indian Territory that year. A committee was appointed to procure four lamps, two dozen aprons, window shades, and materials for the stations. The Lodge was closed in due form and set to meet on Saturday after the full moon at three o'clock p.m. 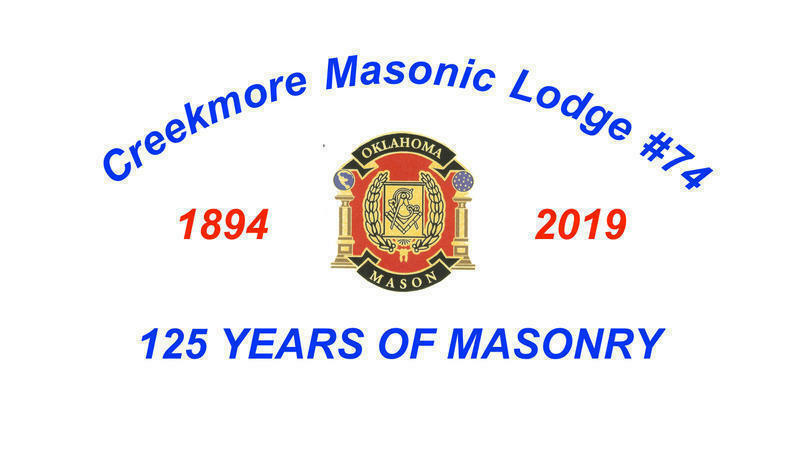 In May, 1894, the meeting time was changed to seven p.m. Little did the Lodge know that their first Worshipful Master, R. W. Choate, would become Grand Master of the Most Worshipful Grand Lodge of Indian Territory in 1905. During the year, the Lodge was moved from Oakland to Madill and continued to meet as Oakland Lodge No. 67 until 1909, when the Lodge was assigned the number 74 under the jurisdiction of the new Grand Lodge of the State of Oklahoma. By 1970, the old building at the corner of Madill Plaza was in such bad condition the Lodge could no longer get insurance on it and plans were made for a new building. A fundraising project began and as funds were accumulated, a building lot was purchased, plans for a building were drawn, a concrete floor slab was poured, and plumbing roughed in. It seemed the Lodge could not accumulate enough funds to bring the building off the ground and members were stymied as to how the would complete their Lodge, finishing with the "poor boy style" in which the project began. When the Lodge received a letter from a law firm in California notifying them that the Lodge had been named beneficiary of two thirds of the estate of Ennis and Emma Creekmore, the problem was solved. Ennis was the son of the second Worshipful Master of Oakland Lodge No. 67, Bro. J. H. Creekmore. Through the generosity of the Creekmore Family, the Lodge received almost $60,000. This was all the incentive needed to for the Lodge brethren to jump in and complete the building. Oakland Lodge No. 74 met for the first time in the new lodge hall on February 1, 1973. The cornerstone was laid on May 26, 1973, by MW John Preble. The Lodge name was also changed to Creekmore Masonic Lodge No. 74 in honor of the founding brother and his family. From INDIANS, COWBOYS, CORNERSTONES AND CHARITIES; published by the Most Worshipful Grand Lodge of the State of Oklahoma Library and Museum, 2009; and okgenweb.